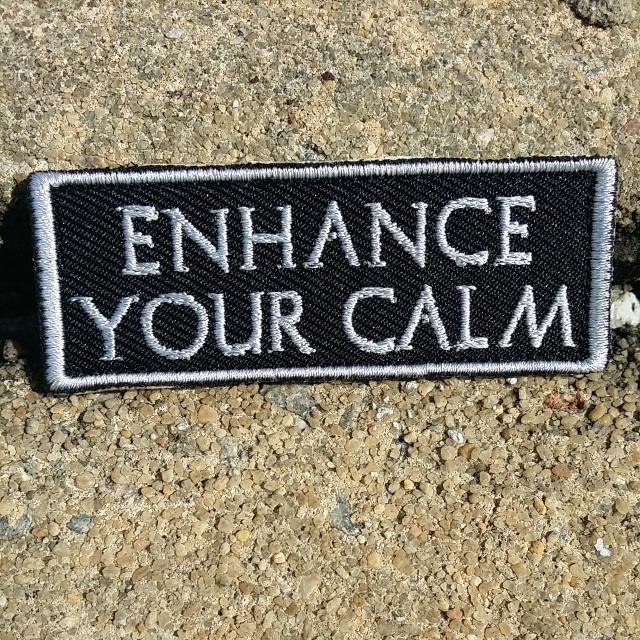 Enhance your calm and be well. So many of my clients struggle with anxiety related issues and find it hard to be calm. Whether it is non-stop thoughts, worrying about what other people say or think about them, inability to sleep or sleep well, social situations, past events or traumas they find it hard to notice the present moment, breathe, and relax. With just a few changes or additions to your daily routine, you can learn to enhance your calm and be well. Everyone is so busy or think they are so busy that they often feel they cannot incorporate any calming strategies into their lives. However, many of those calming activities can take just a few short minutes each day. If you cut a few minutes off your time spent on your phone or other devices you could find the time very quickly to enhance your calm. Meditation practice offers many ways to incorporate calm into your life. Headspace is a guided meditation app I have used for years. It offers a free option with 10 basic meditation units that you can use over and over again to become more calm. It also offers a paid version that has meditation units as short as 1 minute in length and other units that are targeted to specific situations. Meditation is not about learning how to STOP thinking it is about learning to notice your thoughts and let them GO. Seeing your thoughts as clouds and that just pass through, not as plants that put down roots and stay. Another way to enhance your calm quickly is practicing deep breathing techniques. There are several techniques to practice and you may find you benefit from one more than another. It just takes practice. You can practice before sleep, while driving, on the bus, in class or at work, while you are scanning your electronic devices. Everyone has a few minutes to spare to enhance their calm. Progressive muscle relaxation is another way to enhance your calm that once you have practiced it only takes a few minutes as well. Once you have learned the “script” by practicing multiple times, you will be able to achieve deep relaxation throughout your muscles with head to toe calm. Essential oils can be an additional item to use to manage anxiety and stress. Using aromatherapy through diffusers, applying oils to cotton balls, or just breathing them as you are doing deep breathing practice can enhance your calm dramatically. Some of the best oils to use for anxiety and stress are Valerian, Jatamansi, Lavendar, Bergamot, Chamomile, Ylang-Ylang, Vetiver, Frankincense, Clary Sage, Holy Basil are all very good at enhancing your calm. Blends of these oils are even more effective. Always use pure, organic oils for aromatherapy to get the best results. Some other ways to enhance your calm that you can add on to these more practiced ways include exercise even if it’s just a little bit to release endorphins, very dark chocolate at least 80% cocoa, laughing A LOT, and a nice cup of Sleepytime tea from time to time. If you find yourself getting on to your phone or other device and thinking you will spend just a few minutes only to realize you’ve been at it for hours, binge watch full seasons of shows on Netflix in a weekend, or spending a lot of time wondering how to feel less anxious – you have time to use some of these ways to enhance your calm and be well. If you think counseling can help you enhance your calm more and learn how to let go of some of the things that keep you anxious and worried, I am accepting new clients (adolescent girls and adult women) for counseling. Call 406-413-9904 or email mindfulmontanawellness@gmail.com to set up a FREE initial consultation.